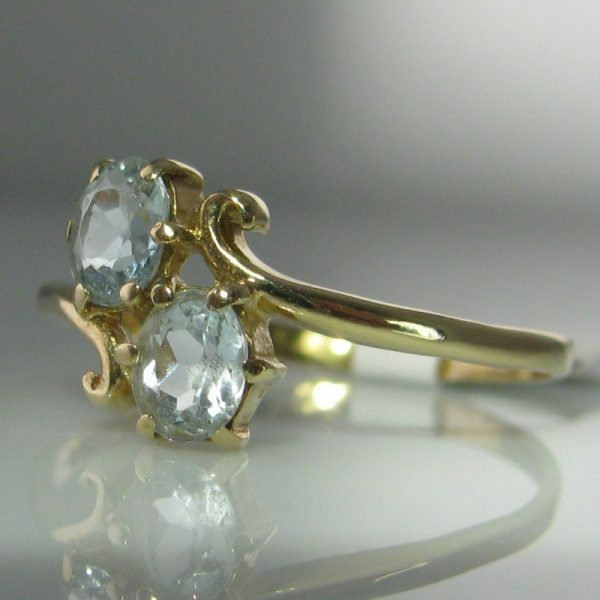 A pretty vintage ice blue gemstone ring set in 9k gold. 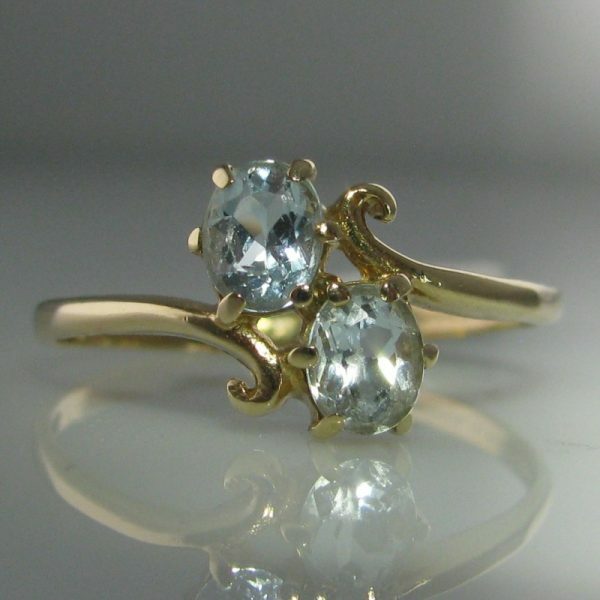 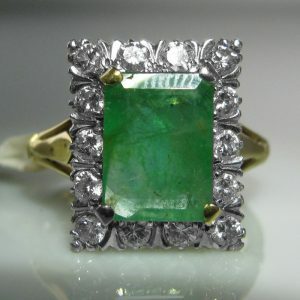 The ring has a split band with a swirl detail encasing two gemstones. 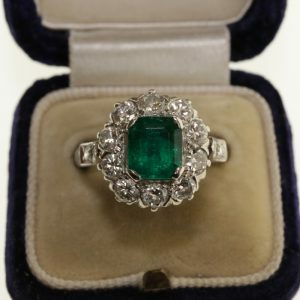 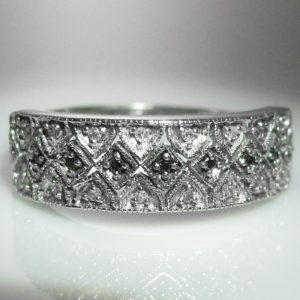 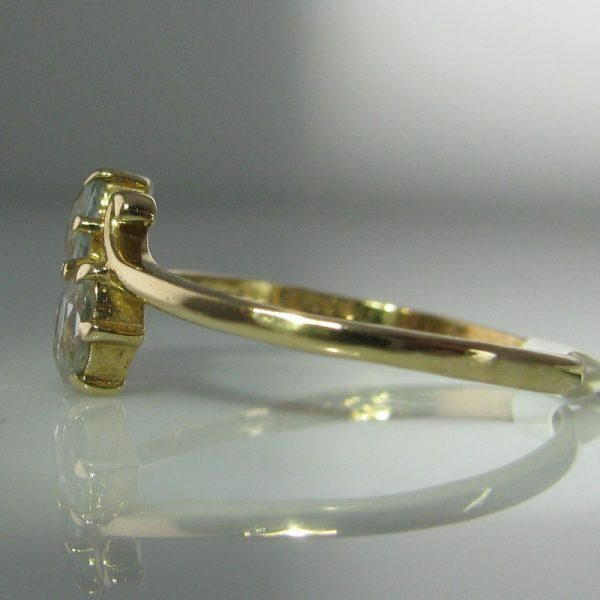 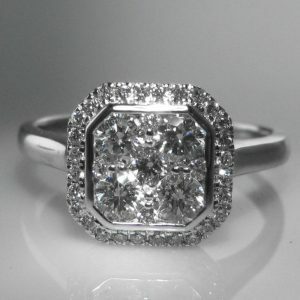 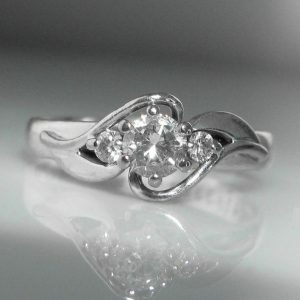 Ring size: T (This ring can be resized if required).